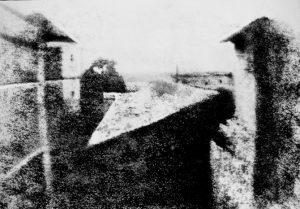 “Point de vue du Gras”, first photograph by Niépce. 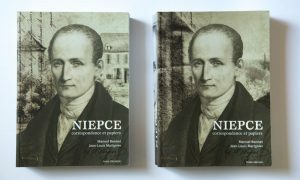 In 1999, by investigating this historical house that had remained unexplored until then, Pierre-Yves Mahé, Director at the Spéos Photography School, wanted to walk in the footsteps of Niépce, so as to rediscover the path of the man who made the very first photograph. the largest number of documents ever assembled on the inventor of photography. The photographic studio and lab of Fortuné Joseph Petiot-Groffier is the oldest existing we know of at present (thanks to the receipts, the chemicals can be dated back as far as 1840-41). 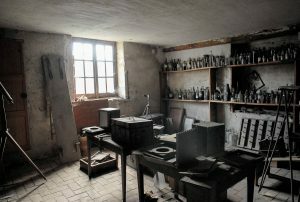 Since the summer of 2010, the last pieces of this laboratory are on show in the Nicéphore Niépce House. 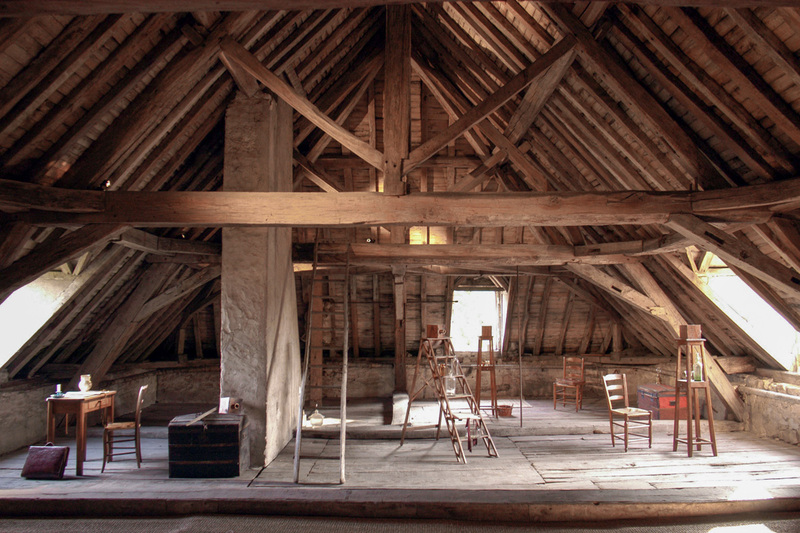 Initiated by the museum Maison Nicéphore Niépce, with the collaboration of Jean-Louis Bruley, Manuel Bonnet and the mairie de Saint-Loup-de-Varennes, the “ Route de la Photo ” — a series of photo spots — invites you to discover Burgundy following the footsteps of Nicéphore Niépce, the inventor of photography. 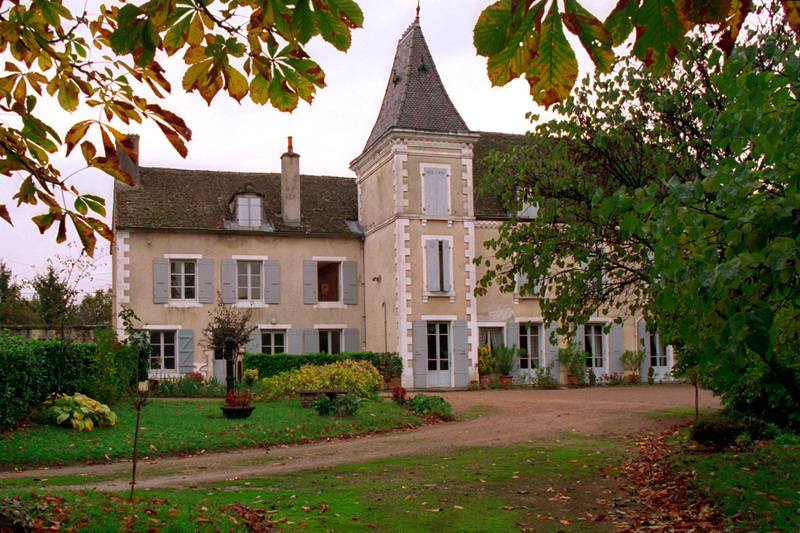 To take a picture of the place linked with Niépce and the invention of photography, please put your camera on the monopod! 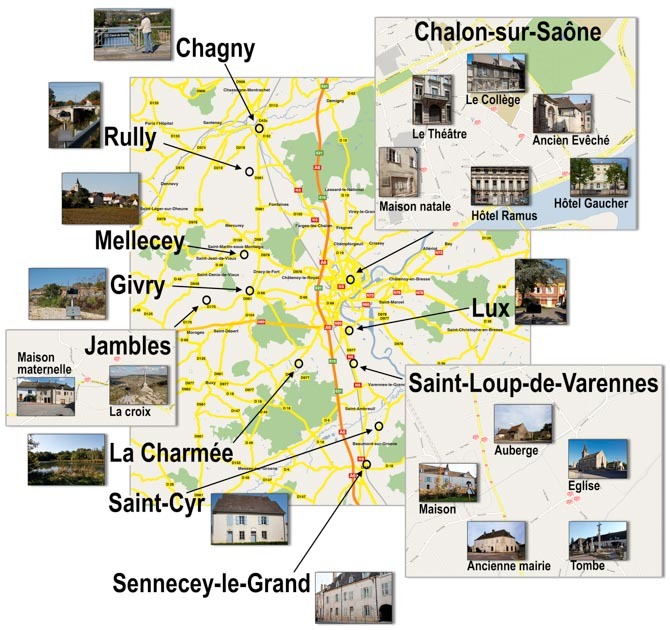 The first 5 photo spots are already set up in Saint-Loup-de-Varennes. Until the remaining photo spots are set up, you can check out the entire “Route de la Photo” on our interactive map.